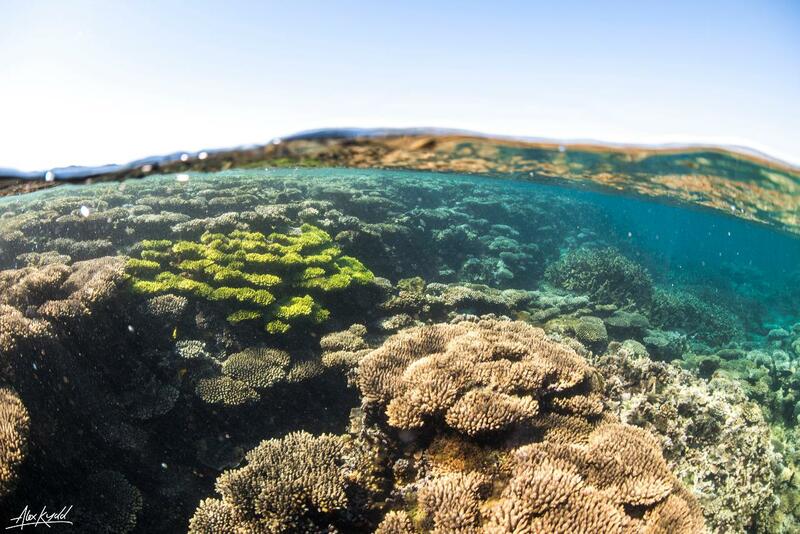 What better way to fill your afternoon with a beautiful sailing and snorkel on the Ningaloo Reef... Join the crew onboard and let them show you what hides in their underwater backyard! They will take you to one of their favourite snorkelling sites where you can snorkel amongst our resident turtles, experience boomnetting and soak in the picturesque surrounds. The Coral Breeze is the only Sailing Catamaran offering Day Charters in Coral Bay. Join the crew aboard Coral Bays most Eco Friendly cruise as we harness the power of the wind to glide silently through the clear calm turquoise waters of the Ningaloo Reef. Soak in the stunning surrounds with full 360 degree views. Our purpose built catamaran is sturdy, spacious and offers plenty of shade. 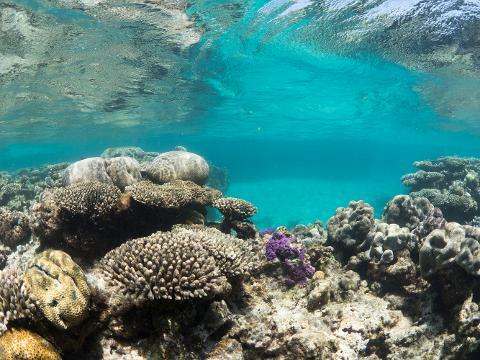 Explore our back yard, snorkel the dense coral formations of the outer reef where turtlesabound and the many fish frolic amongst their magnificent coral gardens. We pride ourselves on Quality and like to offer a No-Pressure, Relaxed and Unlimited Snorkelling Experience. The crew aboard the Coral Breeze are very passionate about the Ningaloo Reef and Eco Systems worldwide. Together we are leading the way in environmentally sustainable tourism - doing our part to preserve what wecan for generations to come. 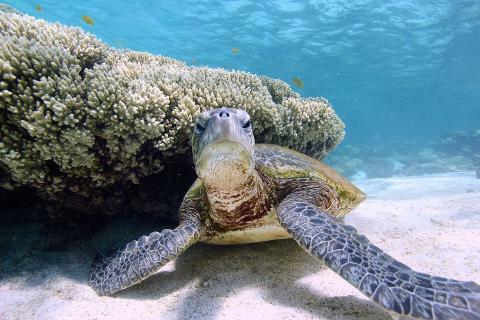 The World Heritage Listed 'Ningaloo Marine Park' stretches over 260kms and is host to over 500 different species of fish and more the 200 species of coral. We commit ourselves to maintain the importance of sustainability for future generations by passing on knowledge and encouraging guests to do their part to protect our oceans, reefs and and all that inhabit them.